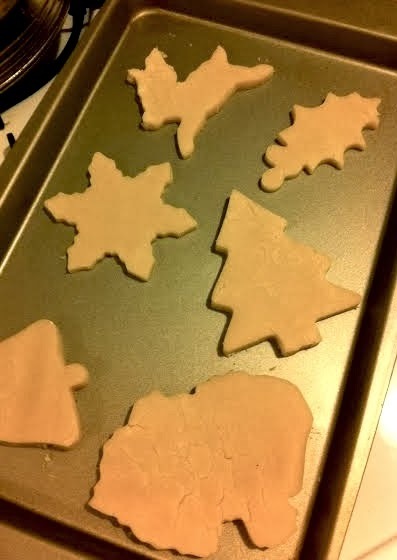 When you have a cookie party, it's important to have more than one kind of cookie, otherwise you look cheap. 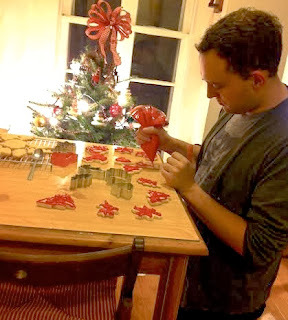 The cookie party idea isn't helping people think you have money, come to think of it, neither is the studio apartment. Anyways, that's beside the point. The point is to make some cookies and drink some wine. I'll admit I'm putting this blog up in a hurry - I'm on my way out of the office for the day. Not the office of this blog, that would be cool though. The office of the company I work for, where everyone loved these cookies. I love chocolate mint flavored stuff, but I've never found a good choco-mint cookie except for grasshoppers and thin mints. So, rather than buy the cocoa powder and pretend I knew what I was doing, I simply made my tried-and-true sugar cookie and swapped out the vanilla for peppermint extract (which I smuggled out of the grocery in the fennel bulb I rang up as celery). 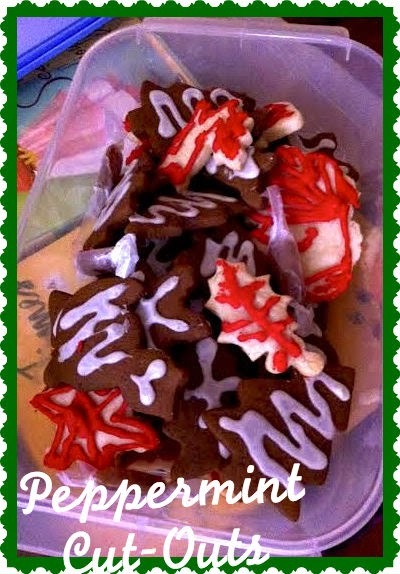 I added a touch of peppermint to ordinary cookie frosting, store-bought. I'm Sandra Lee this holiday. Step 1: Mix dry ingredients and set oven to 325. Step 2: Cream butter and sugar. Add egg and peppermint eventually. Step 3: Mix dry into wet and mix to heart's content. Ball it up and roll it out on a floured surface with a floured rolling pin. Step 4: Chill cut-outs in the fridge for 15 minutes before baking. They take about 12 minutes in the oven, which is just enough time to mix your Lazy-Mom frosting. You can use the same sandwich baggy trick for this cookie as well. Look how well my friend is icing, you can hardly tell he's wasted, until you start eating the cookies and realize how much frosting is on them.